Provenance: Given to Dr Williams's Library by John Simco, bookseller. 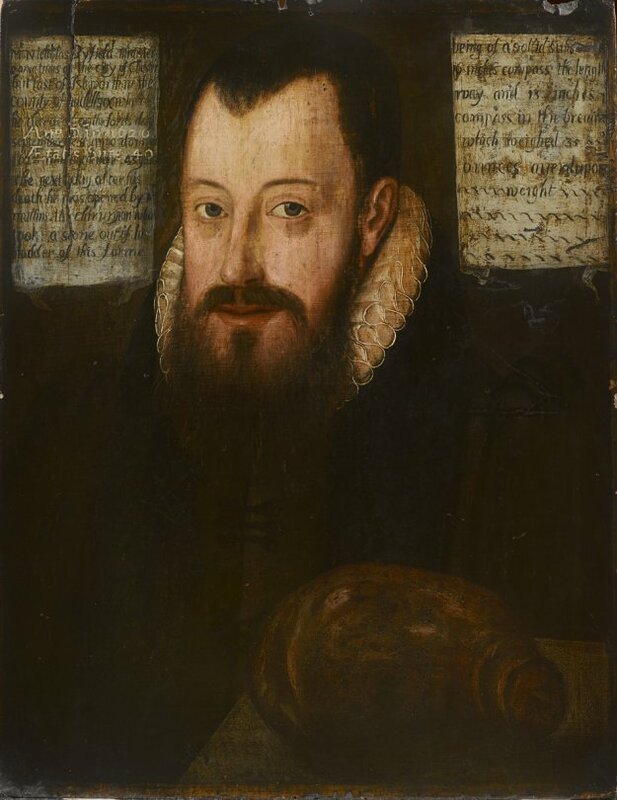 Rectangular panel painting in oils inscribed 'Mr Nicholas Byfield minister some times of the City of Chester but last of Iselworth in the County of Middlesex where he deceased on the Lords day September 8 anno domini S 1663 and aged neer 43 yeares the next day after his death he was opened by Mr Mullins the chirugion who took a stone out of his bladder'. The oak panel is bevelled on all sides on reverse.